SKYSPACE Green Roofs is a full-service architectural studio specializing in the creation of living roofs for the environmentally conscious home or building owner. Our office is located in Toronto, Canada and we service all of Southern Ontario. 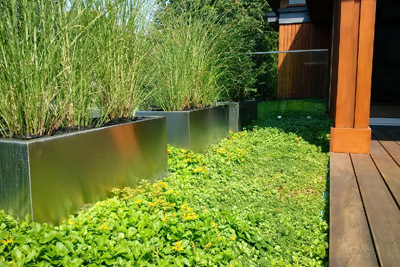 For those who delight in nature’s beauty, our boutique offers roof-top oases and green roof systems of all kinds and sizes, and our eclectic group of landscape architects, engineers and green roof technicians oversee everything from conception and design to installation and maintenance. 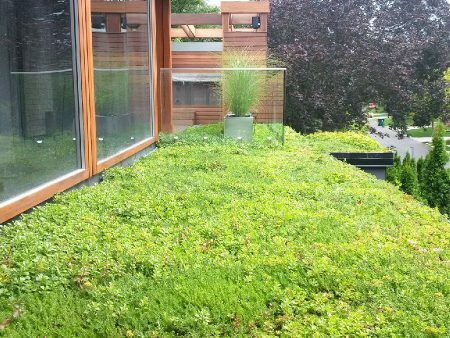 At SKYSPACE Green Roofs, we believe the roof is the new back yard! Insulation or energy-saving: reduction in heating & cooling costs. Increase in property value and the lifespan of your roof through sun damage protection. 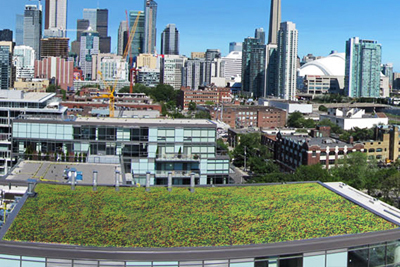 Some studies have shown that a green roof can offer protection for up to 70 years. Absorption of rainwater or reduction in storm water runoff by diverting water from water ways. Also known as a living roof, a live roof or an eco roof, a green roof is an integrated, vegetated living system on top of a roof structure of a building designed to mimic ground gardens for all their benefits. It is constructed of several physical layers, among them a waterproofing membrane. 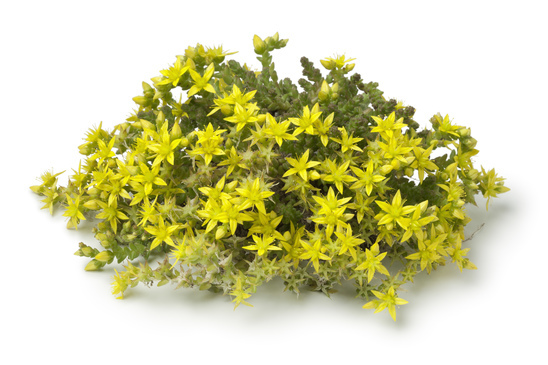 Other layers can include a protective root barrier, followed by a drainage board, a filter fabric, soil and various plantings via seeding, plant plugs or sedum mats. When we originally wanted to construct a green roof, we had consulted two other companies before Skyspace. Once we met Costa, we knew exactly he was the one to do the job. He has great energy and enthusiasm, he is knowledgeable and reliable. His staff were very respectful and pleasant to work with. 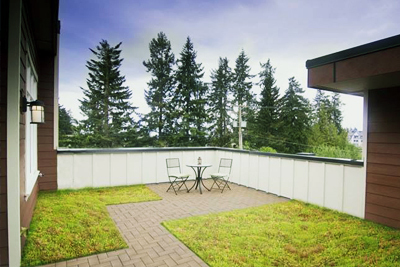 We love our green roof and we certainly made the right decision choosing Skyspace. Thanks again. Great work from Costa and his team. We installed two separate green roofs on different levels of our house. Adding a green roof on our bedroom roof has had a significant effect on reducing the temperature on hot days as it acts as a layer of insulation. Not only is it a beautiful aesthetic addition to our home, it also provides function. I would definitely choose Skyspace again! Great company to work with. 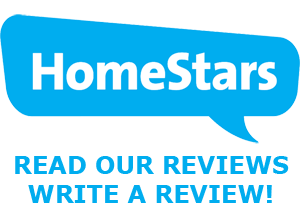 Fast, efficient and knowledgeable. Excellent follow up. We will work with them again. Skyspace installed a green roof over our front porch. They did their work competently and efficiently, on time and on budget. I will work with them again.